SOKENDAI (The Graduate University for Advanced Studies) is a graduate university with no undergraduate programs that consists of departments housed in affiliated Inter-University Research Institutes and the School of Advanced Sciences attached directly to SOKENDAI. 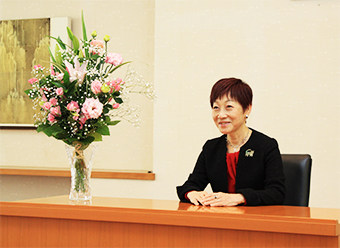 The Inter-University Research Institutes are research centers for joint use by universities throughout Japan in their various research fields. As such, these institutes serve as centers of advanced research in their respective research fields and as nodes of scholarly communication that support international joint research. The School of Advanced Sciences, which is located in Hayama and has no such parent institute, conducts advanced research into the evolution of life and the relationship between science and society. 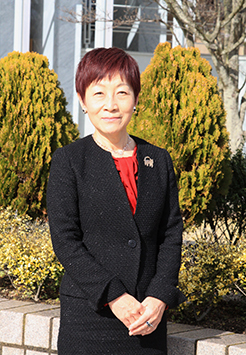 SOKENDAI was founded in October 1988 on the internationally unprecedented idea of educating graduate students at outstanding centers of research to cultivate future generations of scholars. The year 2018 will thus mark SOKENDAI's 30th anniversary. At SOKENDAI, students are educated at Japan's leading centers of research. Their lives are very different from those of students in graduate programs attached to ordinary undergraduate faculties, especially for students who enroll in our five-year programs straight from their undergraduate studies and pursue their graduate studies and research surrounded by professional researchers and scholars. Faculty outnumber students by more than two-to-one. Students have access not only to equipment and materials unavailable elsewhere but also to a community of top-ranked scholars. While this environment provides amazing opportunities for doctoral dissertation research, it may also be more stressful in some ways than an ordinary university. This is why every department, with the full support of SOKENDAI, looks after its students and takes steps to ensure that time spent in the department is productive and enjoyable. All our students are encouraged to take full advantage of this distinctive research environment as they pursue their doctoral dissertation research. "Advanced specialties and expertise," "Broad perspective," and "International competitiveness" have been the educational goals of SOKENDAI since its founding. As mentioned above, students are educated at centers of research, so "Advanced specialties and expertise" and "International competitiveness" are perhaps something they naturally learn. But what of a "broad perspective"? A "broad perspective" entails the ability to explain one's object of research in the broader terms of human intellectual activity in general and to envision new horizons that transcend current disciplinary boundaries. Acquiring these abilities in the course of writing a doctoral dissertation can be hard. Still, I hope students will endeavor to gain this broader perspective at every opportunity by taking full advantage of SOKENDAI's unique characteristics, including its various departments that collectively encompass a broad range of intellectual fields, from energy, materials, space, and life to information, history and culture. Universities and basic research in Japan today face challenging circumstances. Likewise, there are issues regarding SOKENDAI's future growth as an institution of higher learning that need our serious attention. Yet, whatever difficult challenges may lie ahead in this uncertain age, we will face them each and every day as first-class researchers and scholars dedicated to working in cooperation with everyone concerned to produce future generations of global professionals.